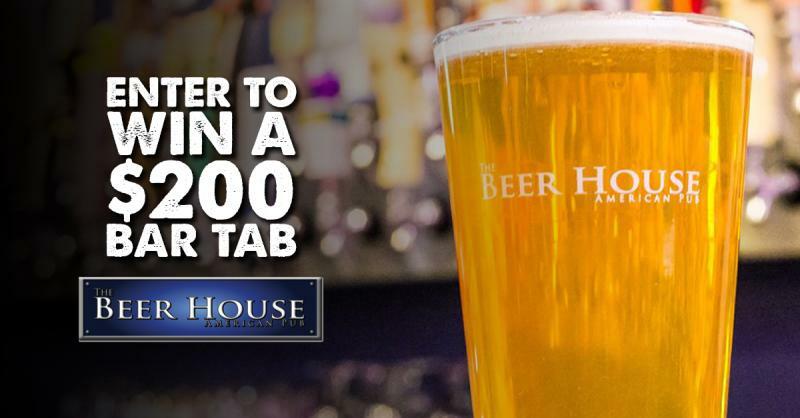 The Beer House American Pub | Win a $200 Bar Tab! By entering you Mobile Number, you will be entered for a chance to WIN a $200 Bar Tab from The Beer House American Pub! For Entering, each person will receive a $10 off $40 or more coupon. The winner will be chosen randomly April 29th! Watch for the winning text and future exclusive 'Text Only' specials, updates & more, instantly to your mobile phone!